Rinsekit is a portable pressurized shower that provideds pressurized water spray without pumping or batteries. 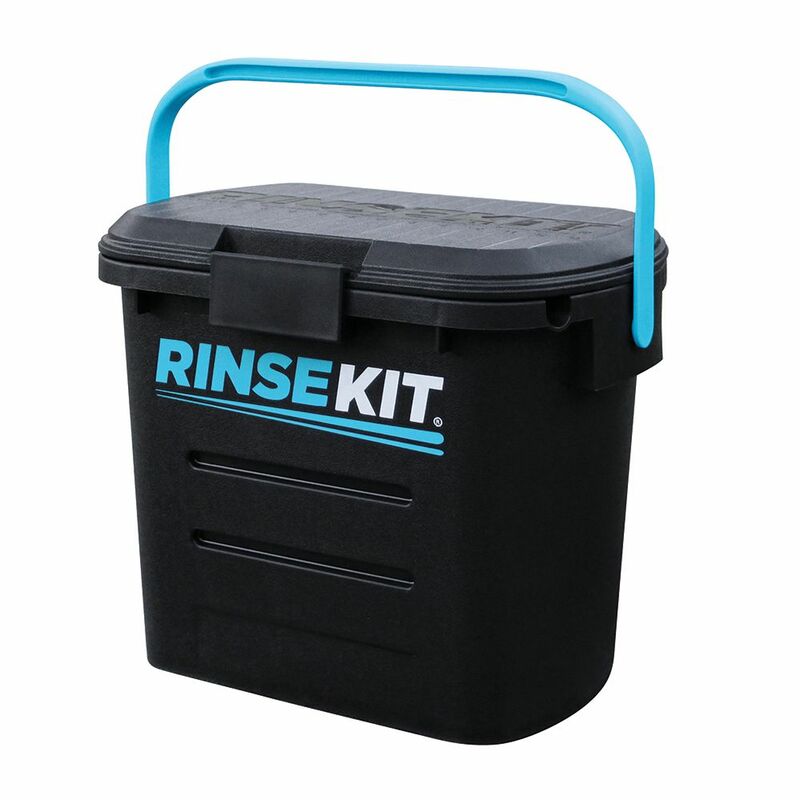 RinseKit's 2 gallon system holds pressure for a month. The removable lid is versatile. OutSol, LLC warrants the RINSEKIT and the accessories included in the box against defects in materials and workmanship under normal and personal use by the original end user/customer for a period of 1 year from the date of the original retail purchase. Use the Scraper Cleaning Tool for a convenient and simple way to safely remove built up grease and debris on BBQ grills, griddles, pizza stones and more. It's 25 inch length is perfect for reaching all corners of your grill or griddle with ease. Made of quality stainless steel, this scraper is perfect for keeping your cooking equipment cleaner. For rugged and affordable 7x optical power, look no further than the Trooper. This standard, Porro Prism binocular makes for easy wide-angle viewing. This wide angle of view makes the binoculars ideal for tracking fast moving subjects, and its foldable rubber eyecups and long eye relief provide the ultimate in viewing comfort. Portable Pressurized Shower Rinsekit is a portable pressurized shower that provideds pressurized water spray without pumping or batteries. RinseKit's 2 gallon system holds pressure for a month. Portable Pressurized Shower is rated 4.3 out of 5 by 4. Rated 4 out of 5 by Michael from Convenient and easy to use.... Convenient and easy to use. Rated 5 out of 5 by Geeg from Absolutely amazing little rig !! I bought this as a possible shower for camping, but have fallen madly in love with it !! I now use it for watering out of the way plants around my property, hiding down the kids, washing the deck off etc. Excellent for waterfights !!! Rated 3 out of 5 by Anonymous from Great product if you have the right faucet We live in an apartment and there are no exterior taps so we have to fill inside which required the adapter. We purchased it directly from rinse kit and tried to install on our bathroom sink. It kind of worked but was spraying out the sides so my husband tried to tighten it. It busted off inside the faucet. We can't get the broken bit out and can't use the rinse kit. Rated 5 out of 5 by Eddy from Great Tech! Saw this on Shark Tank! Great Multi-Purpose Product!